Synopsis: Trying to escape a broken past, Sarah O’Neill is rebuilding her life on the fringes of a backwood rural town with her young son Chris. 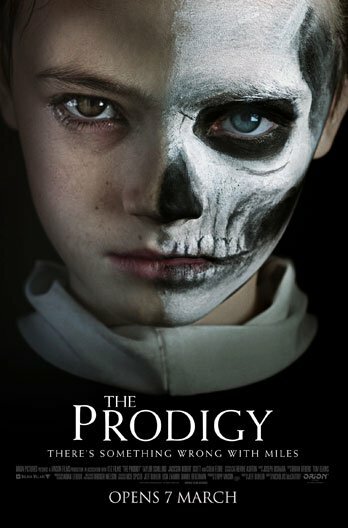 Following the discovery of a mysterious sinkhole in the vast forest bordering their new home, Sarah must battle to unearth if the disturbing changes that begin to manifest in her little boy are a transformation driven by something more sinister and threatening than her own maternal fears. If you like your horror served in straightforward fashion, we’d advise you to stay far, far away from ‘The Hole in the Ground’. Little here is clear-cut, and the ambiguity that persists throughout the film right up till its end will probably frustrate the hell out of viewers looking for definite answers. On the surface (pun intended), first-time director Lee Cronin’s film is about a single mother Sarah (Seána Kerslake) who suspects that her grade school-age son Chris (James Quinn Markey) has been replaced by a changeling. 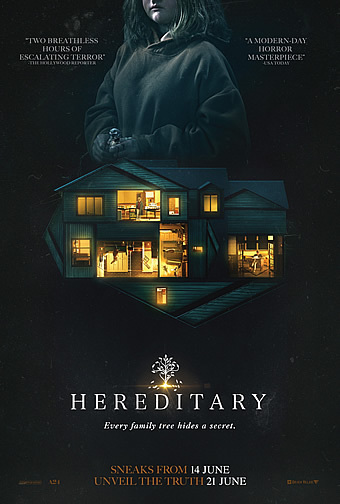 Both mother and son have recently moved into a dilapidated farmhouse on the outskirts of a small Irish town in the middle of nowhere, presumably to escape an abusive relationship which Sarah sports an ugly wound on her forehead as evidence of. To be sure, we are never told with any certainty that Sarah was indeed physically abused, or that the abuser was in fact her husband and Chris’ father; like much of the film, that detail is only strongly implied, much of it through conversation between Sarah and the local doctor who examines her. 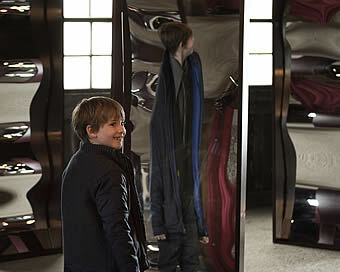 Similarly, we will never be sure after mysteriously disappearing for a couple of hours one night that the boy who returns and looks exactly like Chris is actually “not Sarah’s son” anymore, as the neighbourhood crone (Kaurismäki regular Kati Outinen) warns her. Certainly, Sarah grows increasingly sure of the said lady’s proclamation, noticing subtle changes to Chris’ behaviour that prick her maternal instincts. This Chris, she feels, seems too perfectly polite, appears no longer scared of spiders, and cannot seem to remember the games that the two of them used to play. On her part, Sarah is plagued by hallucinations of him doing terrible things, which only adds to her disquiet. And the final straw appears to be when Chris shoves a heavy wooden table across the room in a fit of anger at her, leading Sarah to be deadly sure that her son has been lost to the hole in the ground. Ah yes, the titular hole – which Sarah first discovers while searching for Chris who had run off into the woods when they had first arrived at the house. It is a massive pit all right, perfectly shaped as if someone had dropped a giant bowling bowl right into the middle of the forest. Again, there is no particular indication that Chris had fallen or climbed into the sinkhole, given how he just turns back up in his room after Sarah goes looking for him frantically. We’re not even sure if the hole really does exist, since no one in the village seems to have heard or are aware of it. 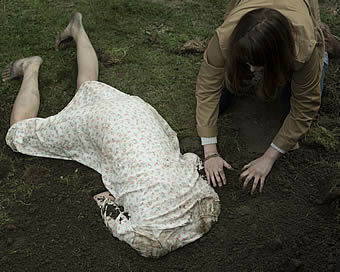 We’re certain of this though – whether literal or not, the sinkhole is also meant as a metaphor for Sarah’s psychological state of mind, having run away from an apparently abusive spouse and now trying to raise a kid on her own. 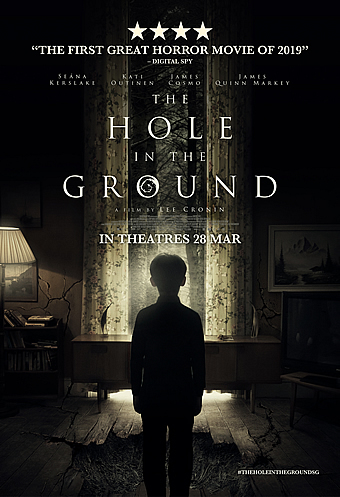 Even if the last third starts to take the shape and form of a conventional possessed-kid movie, followed by a straight-up creature feature, it is clear that both Cronin and his co-writer Stephen Shields wants to keep their metaphor well and alive, especially given how Sarah will come face to face with herself inside the sinkhole. That is however its most fundamental issue, i.e. that the movie ends up wanting to be both literal and metaphorical at the same time, never fully committing one way or another. Oh yes, much of the tension in the first hour comes from trying to figure out whether the real threat is within or without, but we cannot but help feeling more than a little frustrated when it becomes clear that it continues flirting both ways right up till the very end. Unless therefore you like to be teased as such, you’ll likely feel the same way we did, notwithstanding the arrestingly empathetic performance by Kerslake that conveys without doubt the anxiety and desperation of a mother who thinks she has lost her son. 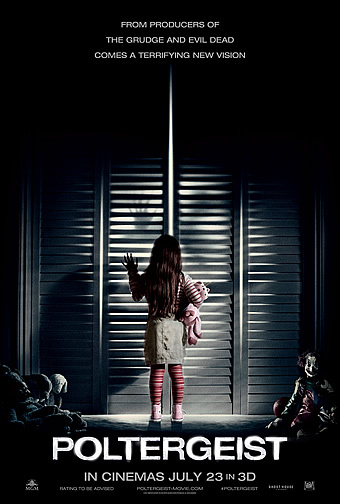 Those looking for a good scare should also moderate their expectations; at no point does the movie make you jump in your seat, or for that matter, make your skin crawl. Rather, the chills it aims for are more of the low-key and slow-burn variety, so even at a modest one-and-a-half hours, you’ll need to exercise some significant degree of patience in order to get through it. While befitting the overall gloom, many of the scenes are also very dimly lit, so much so that you’ll have a hard time making out what exactly is happening within. Frankly, we cannot say that we were too impressed by this Irish feature that gained some buzz when it debuted at the Sundance Film Festival where it was subsequently acquired for wider release. We acknowledge that it is in large part because of how the movie never does settle for what it wants to be – either a literal or psychological horror – and is content to leave its audience hanging. To its credit, it never does opt for cheap jump scares, but by trying to have its cake and eat it, it literally and metaphorically ends up digging its own hole in the ground.